GitLab, a collaboration and DevOps platform for developers that’s currently in use by more than 100,000 organizations, today announced that it has raised a $20 million Series C round led by GV (the fund you may still remember under its former name of Google Ventures). This brings GitLab’s total funding to date to just over $45.5 million. In addition to the new funding, the company also today said that WordPress founder Matt Mullenweg is joining the company’s board. As its name implies, GitLab started out as a git-based open source tool for self-hosting code repositories. Since its launch in 2014, the company has branched out, though, and added a number of more DevOps-centric services to its lineup. This includes a number of workflow tools, but also features that easily enable code review/test/release automation and even application monitoring. It’s maybe no surprise then that the company now sees it as its mission to “develop a seamless, integrated product for modern software developers and become the application for software development in Kubernetes” (yes — even GitLab now wants to get deeper into the Kubernetes game). Current GitLab users include the likes of Ticketmaster, ING, NASDAQ, Sony and Intel. 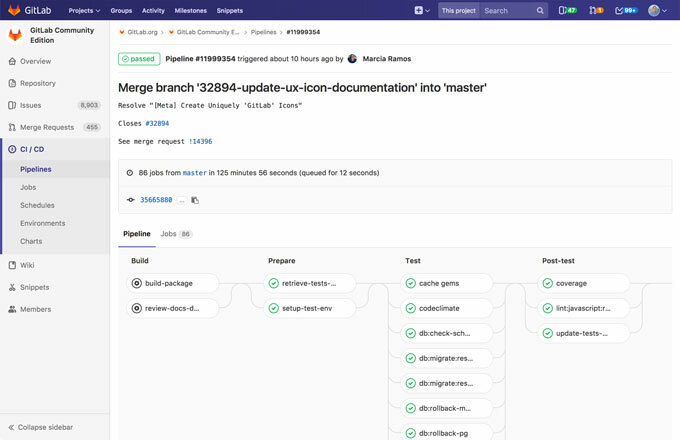 The company does face competition from the likes of GitHub and Atlassian’s BitBucket, though GitLab argues that its tools currently represent two-thirds of the self-hosted git market.